Cape Town is the popular capital of the Western Cape province of South Africa. Home to over 430,000 residents, the ‘Mother City’ is a hotspot for tourists with its collection of ideally positioned stores and eateries. Cape Town offers you its breath-taking surroundings. 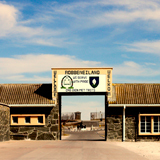 This destination’s top attractions include Table Mountain, the V&A Waterfront and Robben Island. 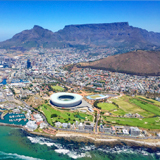 Prepare yourself for an amazing time exploring this Western Cape metropolis, because cheap flights to Cape Town are now available for a limited time! 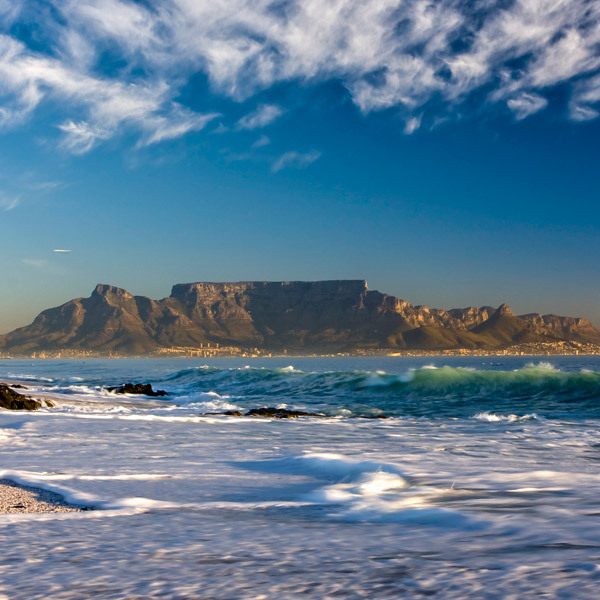 Cape Town offers you numerous stunning sights, such as Table Mountain, one of the New7Wonders of Nature! Get to the top and you can see more enchanting views over the city towards the distant Table Bay and the magnificent Atlantic Ocean. Among the major drawcards of this wonderful destination are its irresistible beaches. 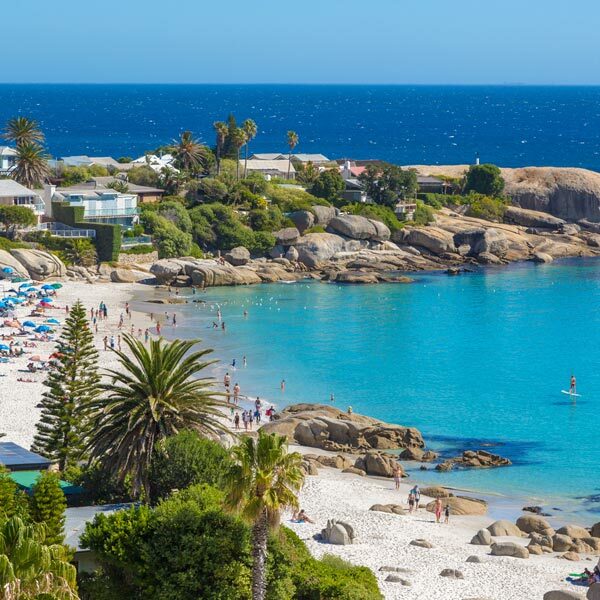 Take refreshing splashes in the cold waters of the Atlantic Ocean at the coastlines at Camps Bay and the four wind-protected beaches at Clifton. A visit to Cape Town would not be complete without exploring its 3,000 wine producers. 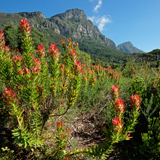 Discover the scenic Cape Winelands, including the historic towns of Franschhoek and Stellenbosch, which form part of the oldest wine route in South Africa! Skip the crowds, get more availability and enjoy a wonderful balance of great hotel deals and pleasant weather by visiting Cape Town during the autumn season (March – May). The temperatures usually start to drop from the intense heat of the summer (December – January) and so do the influx of tourists and the cost of accommodation. During autumn, you will get the ideal conditions for hiking the various mountain and forest trails that surround the city. While the winters (June – August) bring cold and wet weather, make sure you visit during July, when the whale-watching season begins! Set against the iconic backdrop of Table Mountain, Cape Town is a destination you will never forget. Popularly known as a leading tourist hotspot, its major drawcards are its central location and wonderful collection of top-class, exceptional attractions and establishments. During the day, visit the Mother City’s collection of museums, such as the Slave Lodge and the District Six Museum. Interact with the locals, turtledoves, squirrels and Egyptian geese in the scenic Company’s Garden (from where you can gaze at the panoramic views of Table Mountain), or shop for authentic local products at the bustling Greenmarket Square. 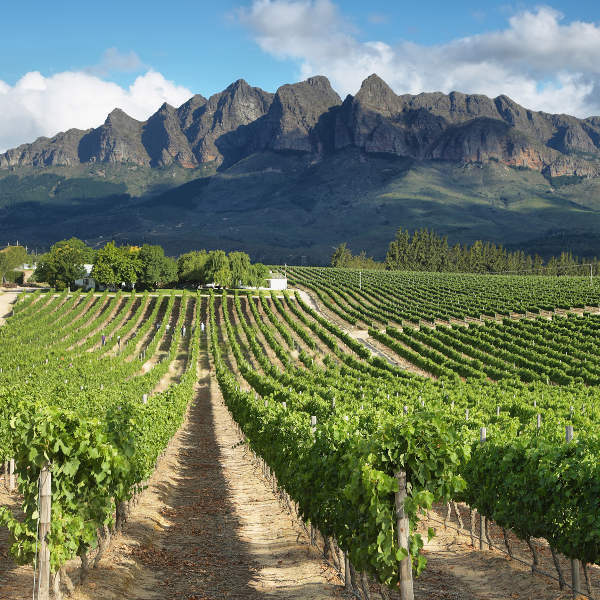 One of the top highlights of Cape Town is its amazing collection of prestigious wine estates, situated in the scenic towns of the Cape Winelands, such as Paarl and Tulbagh. Beach lovers are in for a delightful time in the Mother City. Take a scenic drive around Signal Hill via Strand Street towards the beach at Fresnaye, or use the stunning route between Signal Hill and Table Mountain to reach the popular beaches of Clifton and Camps Bay. As the sun sets, make your way to the alluring and exciting bars, restaurants, cafés and nightclubs in the city centre, especially those in the famous Long Street. Compare several airlines, and book your cheap flights to Cape Town online at Travelstart! Before you leave for Cape Town, make sure to get all the routine vaccinations. In addition, you may need to get vaccinations for hepatitis A and typhoid, both spread through contaminated food and water. Depending on your activity while in this city, you may need to guard against hepatitis B (transmittable through sexual contact, contaminated needles and blood products) and rabies (spread through the bites of infected animals). Stay vigilant while exploring Cape Town, and you will be fine. It would be best to leave your papers and tickets in a hotel room safe. Keep any other valuables in a secure place and out of sight (due to pickpocketing) and stay away from deserted and dark areas. When exploring the hiking trails, make sure to do so in a group. A variety of hotels, suites and lodges are available in Cape Town’s city centre. Many include features such as free wi-fi, dining facilities, spas, free parking, complimentary breakfast and pools. The most credible establishments include The Grand Daddy Hotel, City Lodge, Strand Tower Hotel and Harbour Bridge Hotel & Suites. The cost of renting a room at these hotels ranges from R 500 to over R 3000 per night. When it comes to exploring Cape Town, it’s best done on foot. When you want to visit the surrounding attractions, you’ll want to use alternative means, which include car rental, metred taxis, minibus taxis and buses. Car rental agencies are available at the airport and in the city. Metred taxis have a yellow sign on the roof of the car and clear information on the side stating the fare, and are usually a safe method for getting around Cape Town. The cheaper option would be the minibus taxis, but the drivers have a reputation for reckless driving. You can use the MyCiti bus system to get from various locations in the city centre to the attractions around Cape Town. To use this service, you will need to purchase a MyCiTi card, which you can do so at the airport.